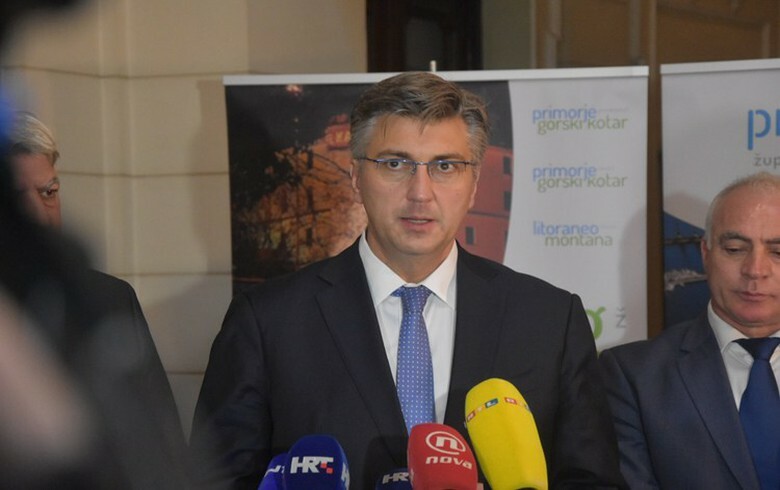 ZAGREB (Croatia), April 12 (SeeNews) - Croatia's government hopes that China Road and Bridge Corporation (CRBC) will complete the construction of the Peljesac bridge in January 2021, prime minister Andrej Plenkovic has said. "The deadline is the end of January 2021. We can be very satisfied with the dynamics of works we have witnessed several times during visits to the Dubrovnik-Neretva county," Plenkovic said during a meeting with Chinese prime minister Li Keqiang, according to a Croatian government press release issued on Thursday. During a visit to the Peljesac bridge construction site, Plenkovic and Keqiang officially launched the installation of the last pylon of the first phase of the project's development, the government said. Croatian motorway operator Hrvatske Ceste signed in April a 2.08 billion kuna ($316.4 million/279.8 million euro) deal for the construction of the Peljesac bridge with a Chinese consortium led by CRBC. The construction of the bridge started in July 2018. The Peljesac bridge will connect the peninsula of the same name with the rest of mainland Croatia over the Adriatic, providing an alternative route to crossing the Neum Corridor - a strip of the Adriatic coastline situated in Bosnia and Herzegovina between these two parts of Croatia. The Peljesac bridge will be 55 m high and 2.4 km long, with four lanes.